The art of wire wrapping dates as far back as 1446 B.C. In ancient times, wire wrapping was the only way to craft metal jewelry without the technology of casting or soldering. The ancient Egyptians pounded gold into flat sheets and then cut the metal into strips. The strips were then rolled to create tubes. The tubes would become the ornate wire that they would wrap around their chosen jewels and stones. Ancient civilizations did not have the assistance of electricity, fire or any of our modern day technology. Yet, they were able to create stunning one of a kind pieces of wearable art. This group of rings, earrings and pendants reflects the cosmopolitan nature of Ptolemaic society. They display a variety of artistic styles relating to the many cultures that met in Thonis-Heracleion. While the cobra is an Egyptian symbol, the ring engraved with a winged Nike – the personification of victory – shows Greek influence. 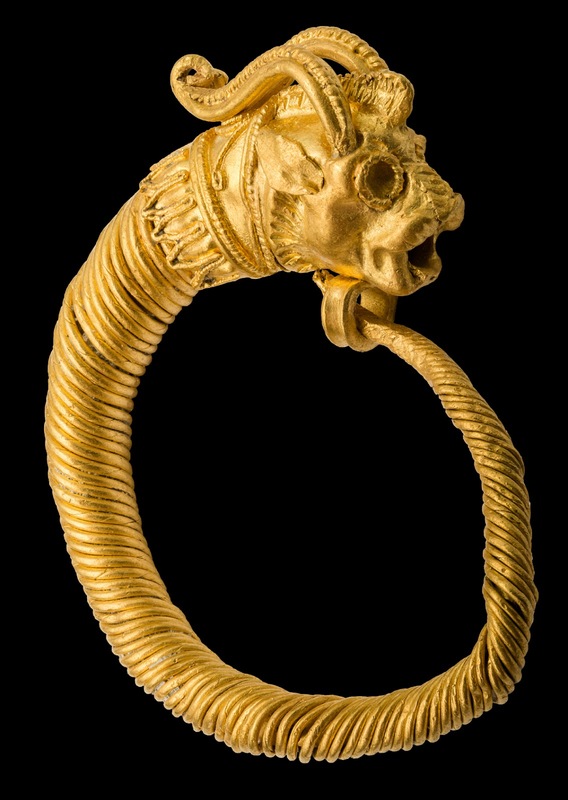 The hoop earring with a mythical creature (above) is inspired by motifs commonly found in the Middle East, associated with Persian craftsmen. 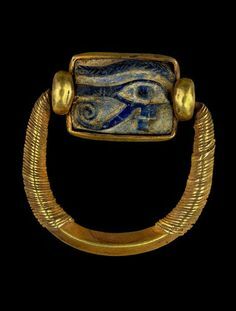 The majority of this jewellery was discovered in the temples of Amun-Gereb and his son, Khonsu-the-Child, where they were probably deposited as offerings. Wire wrapping is one of the oldest techniques used when creating handmade jewelry. This technique is done using wire to create components. These wire components are connected to each other. The wire is bent into a loop or some other shape, wrapped around itself to finish it off and make it permanent. The technique of wrapping wire around itself is called wire wrapping. I am very honored to be utilizing a technique that is thousands of years old. I hope that my creations last just as long as the ancients.